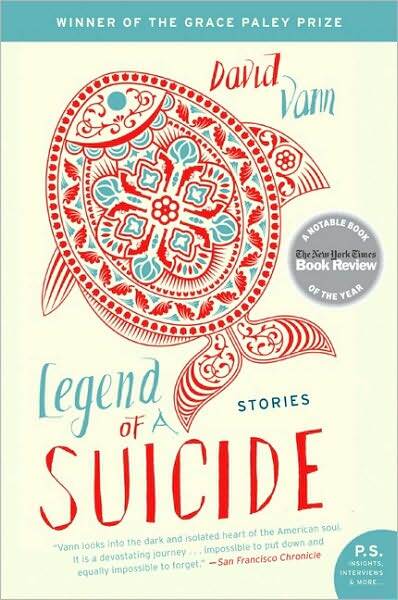 Book Sleuth – Legend of a Suicide | Reading. Writing. Publishing. A Blog. Anyone who follows me via Google Reader may have caught the post I deleted sometime last June, regarding the five year anniversary of my good friend’s suicide. I was pretty hammered when I wrote it, which is why I deleted it almost immediately after. We’d just all been out together sharing our memories of him and I got home and decided it might be a good idea to watch this videotape I’d made our last summer before college, in which he features prominently. It wasn’t poorly written or anything, it was just… incredibly raw and heartfelt. Luckily, the post still showed up on my feed and I was able to save it and turn it into a short story I’ll be sharing with my writing class in a few weeks. Once I do, and once it’s been critiqued and edited, I’ll share it with you. But anyway, I have thought a lot about writing a memoir of sorts, containing a series of short stories about my most vivid memories with this group of friends. It would just be snapshot after snapshot of our years together, all coming together to describe our different relationships with this passed friend and how we all handled the hurt and the anger. I don’t know. That’s why this book caught my eye.